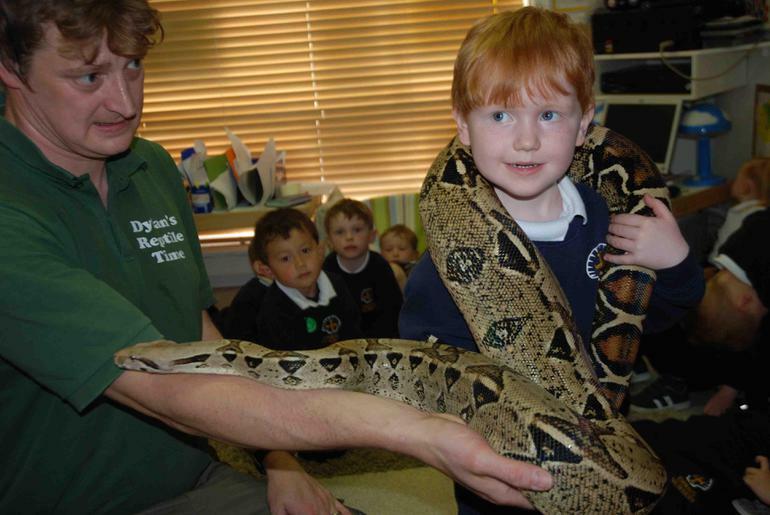 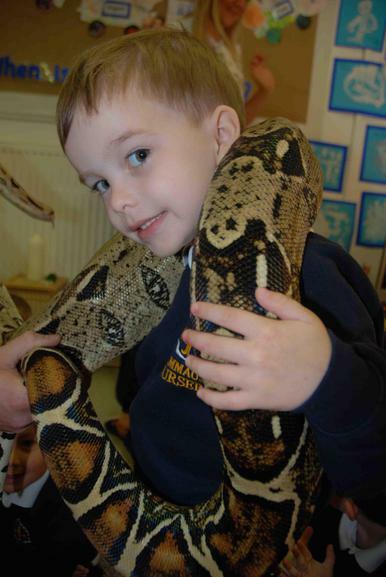 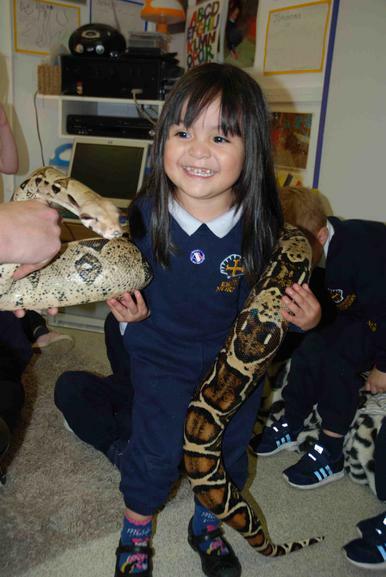 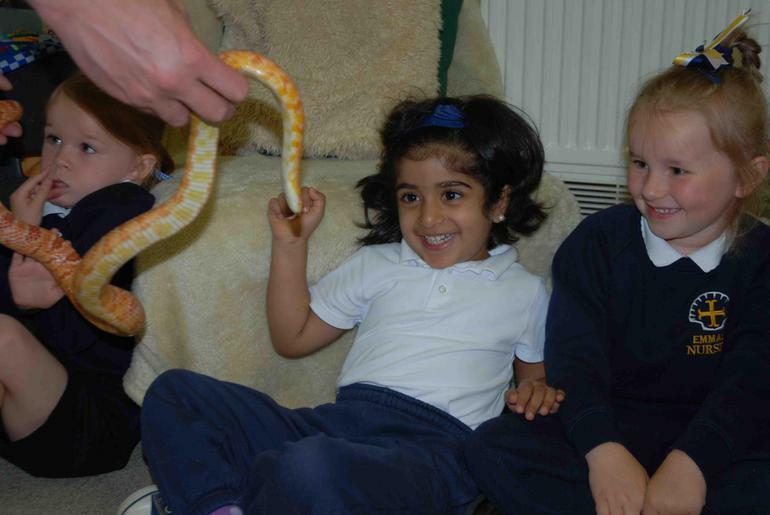 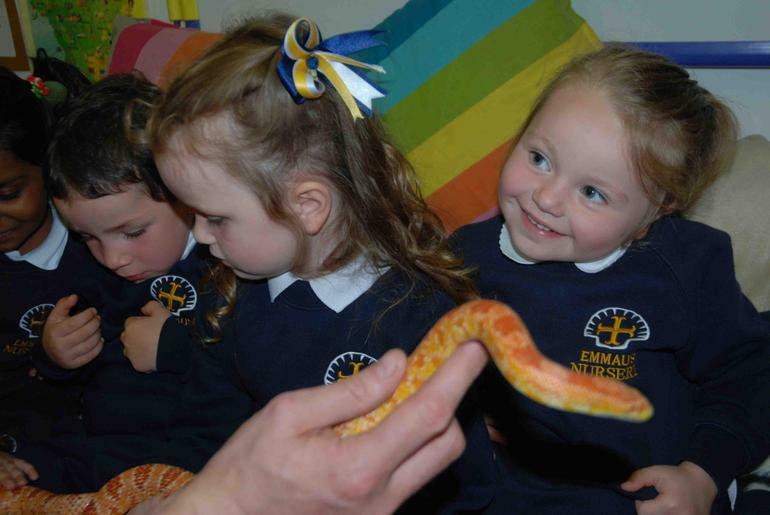 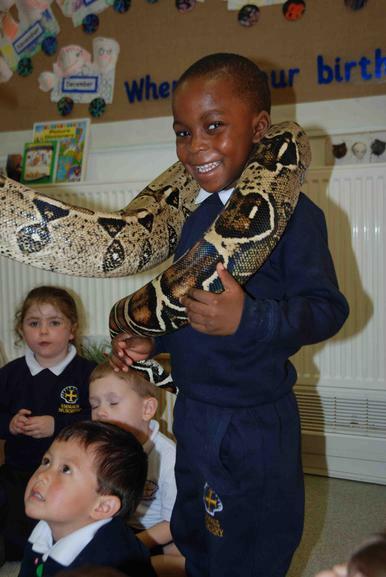 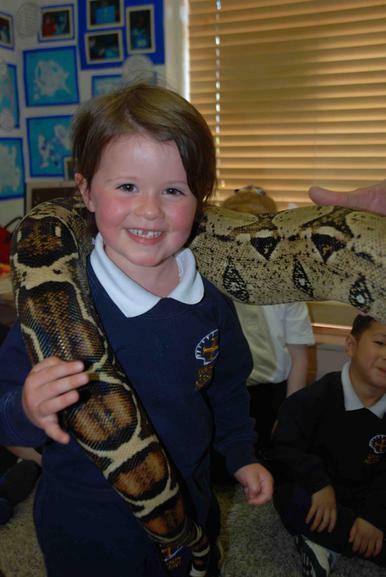 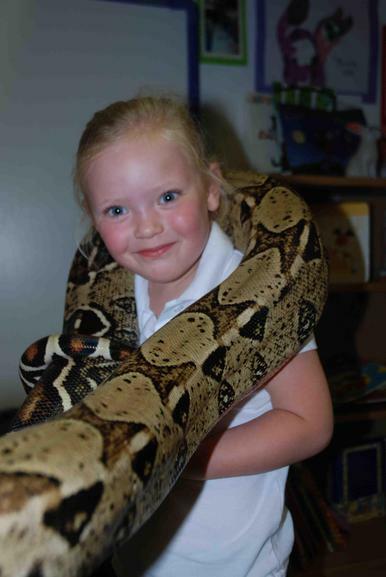 We had a very exciting time meeting Dylan's reptiles and other pets. 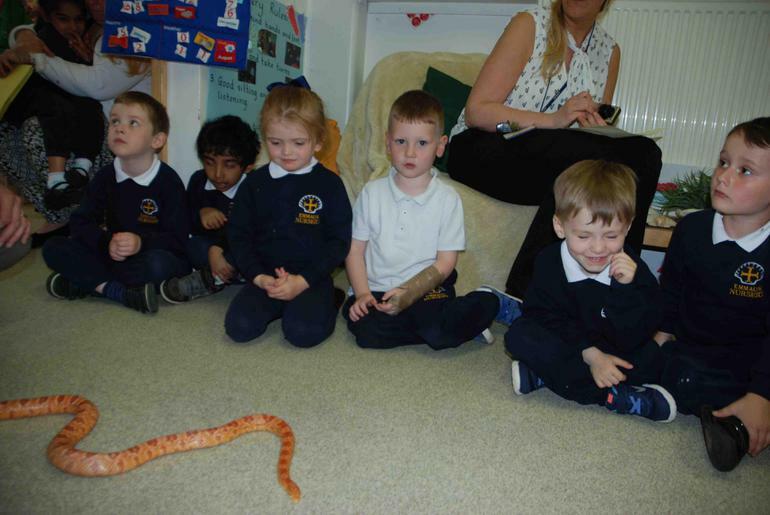 We met Colin the corn snake from America. 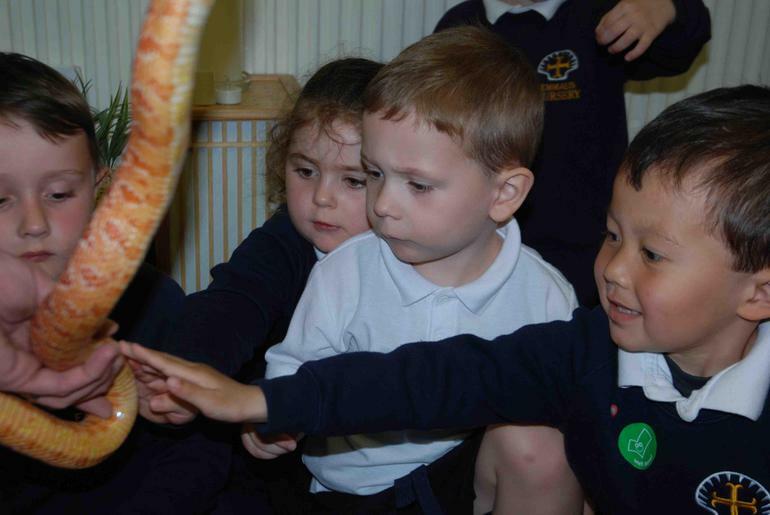 Dylan told us about snakes smelling with their tongues and having no eyelids. 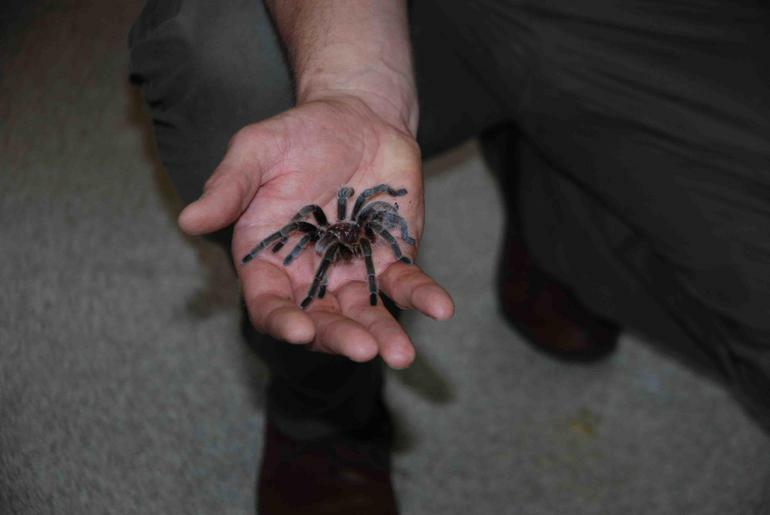 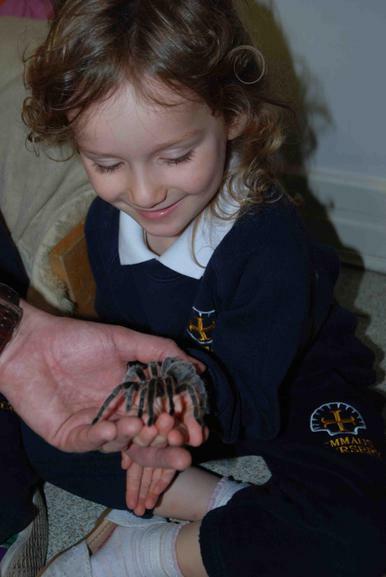 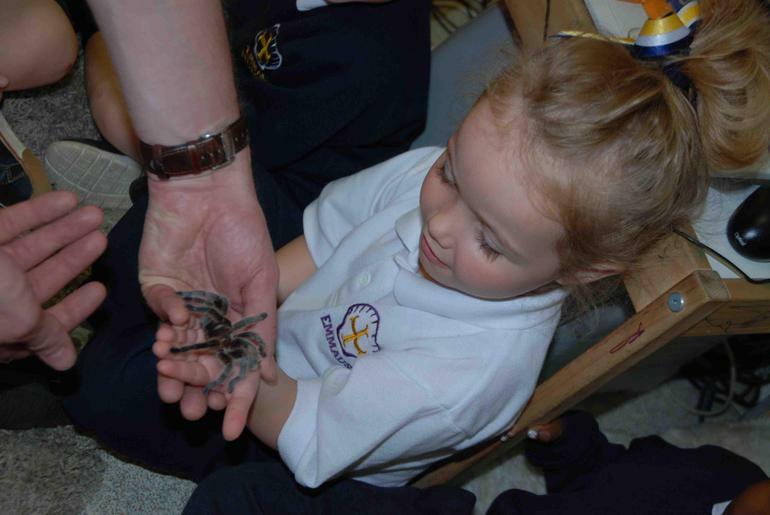 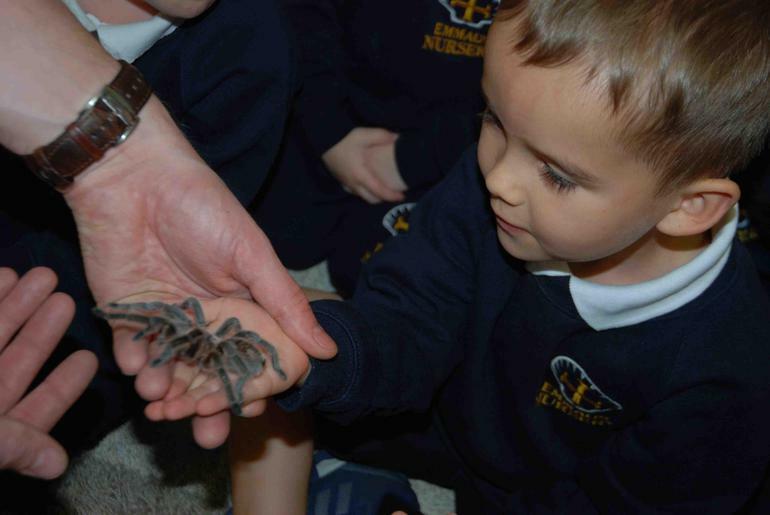 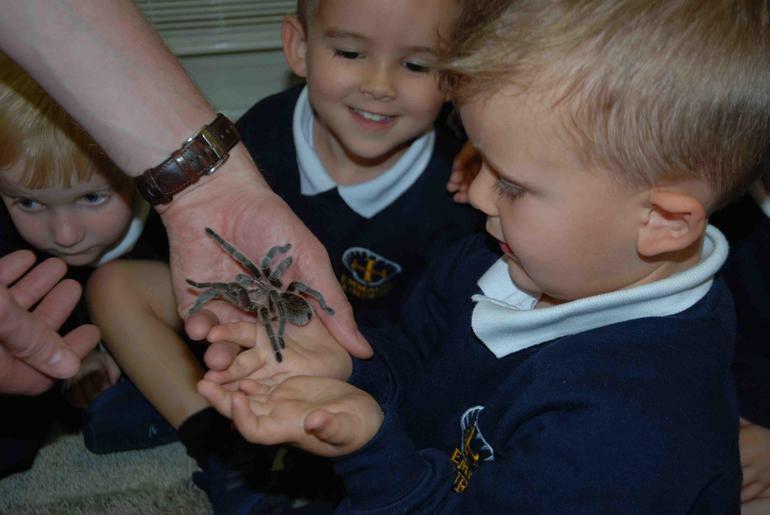 Many children held Rosie the Chilean Rose tarantula. 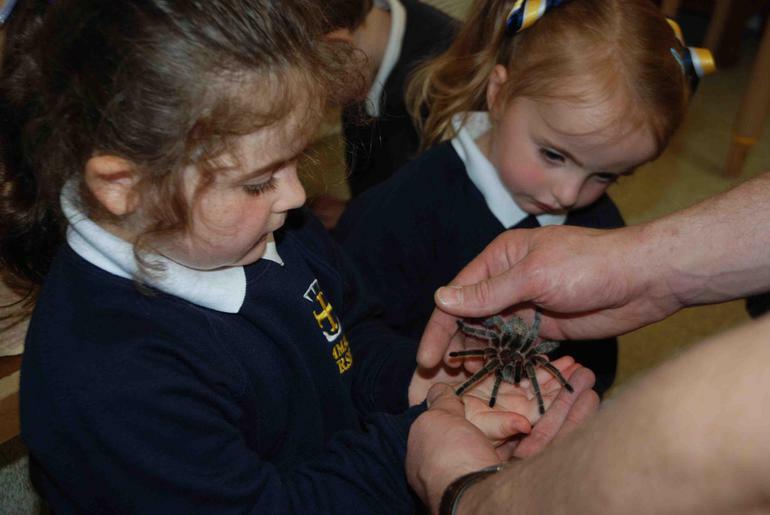 Dylan told us that she shakes her abdomen and flicks out hairs when she's scared. 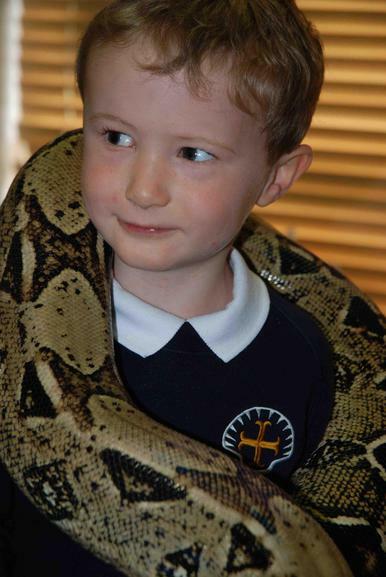 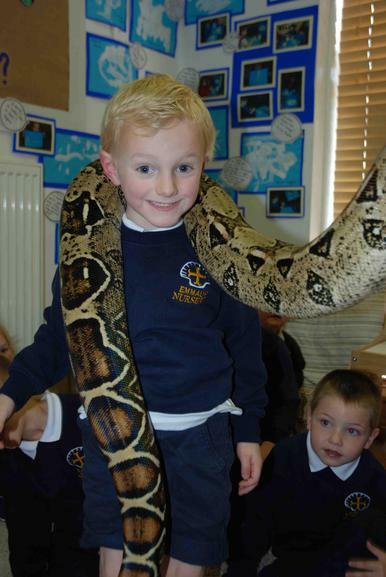 Dylan's boa constrictor Stretch was very heavy! 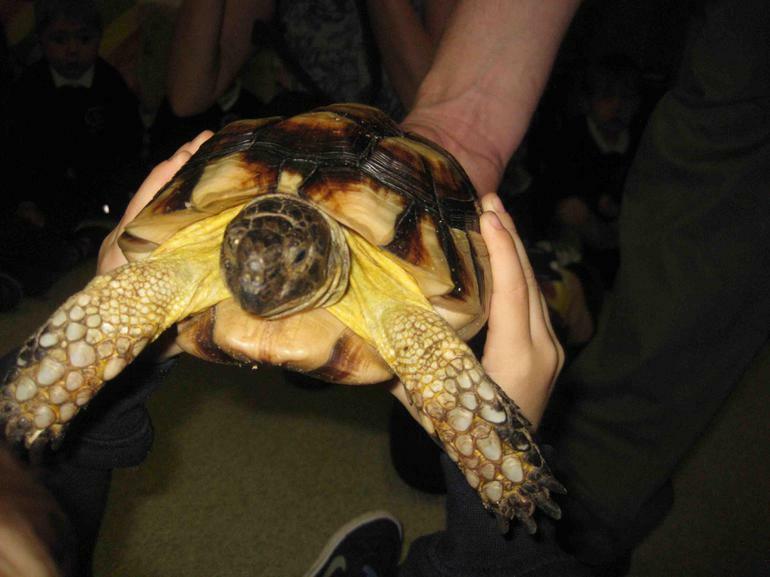 Dave the tortoise moved so slowly because of his heavy shell. 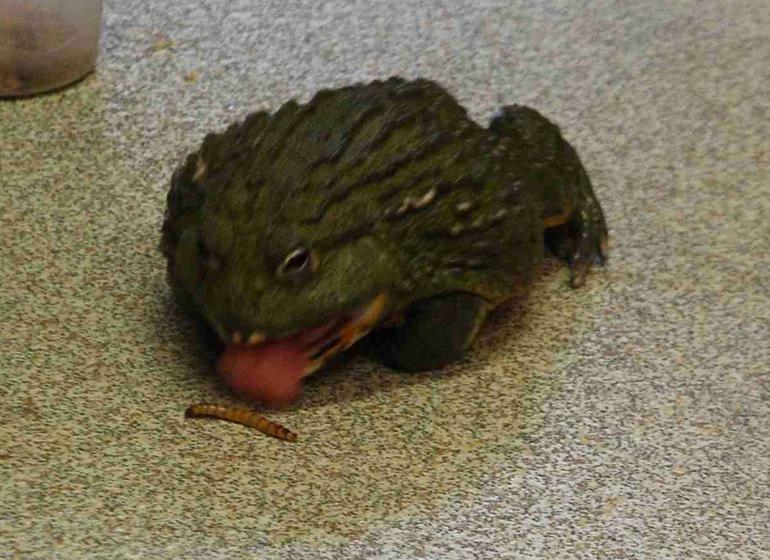 Kermit, the amazon bull frog, stuck out his tongue and ate a grub. 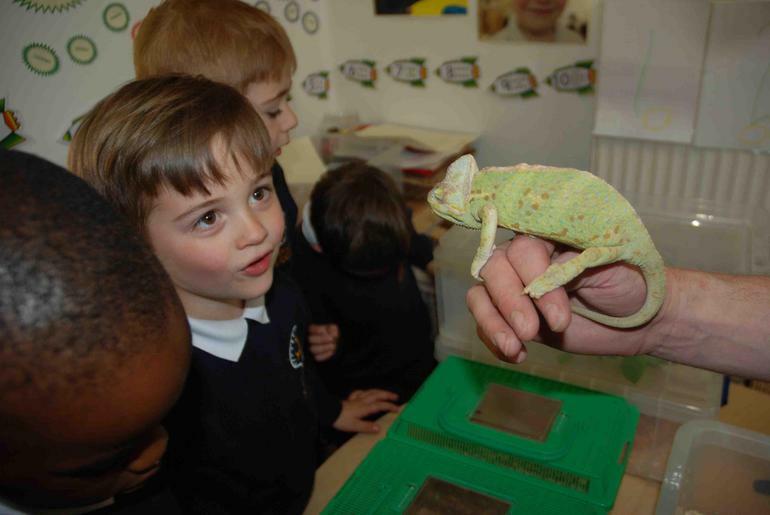 “Go froggy!' 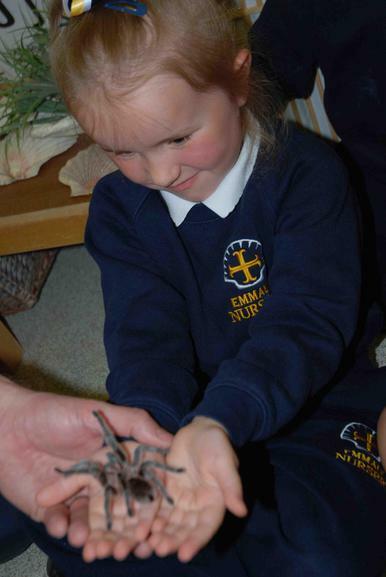 Johanna shouted. 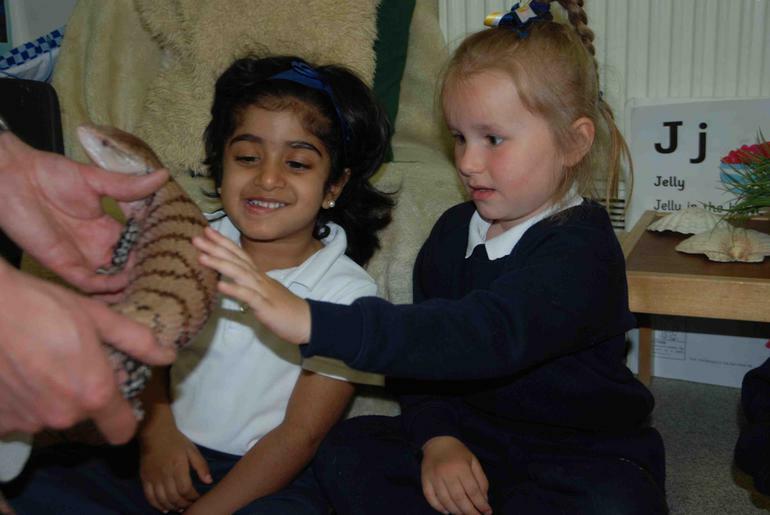 The children touched Sparky, the bearded dragon, he had scales. 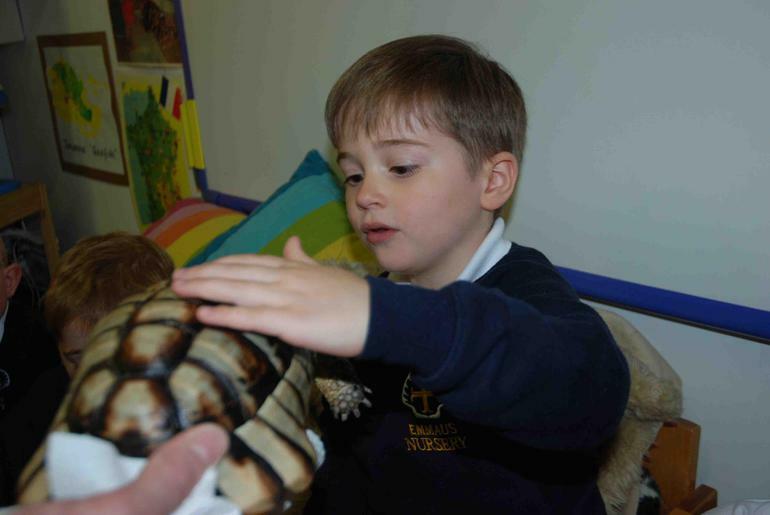 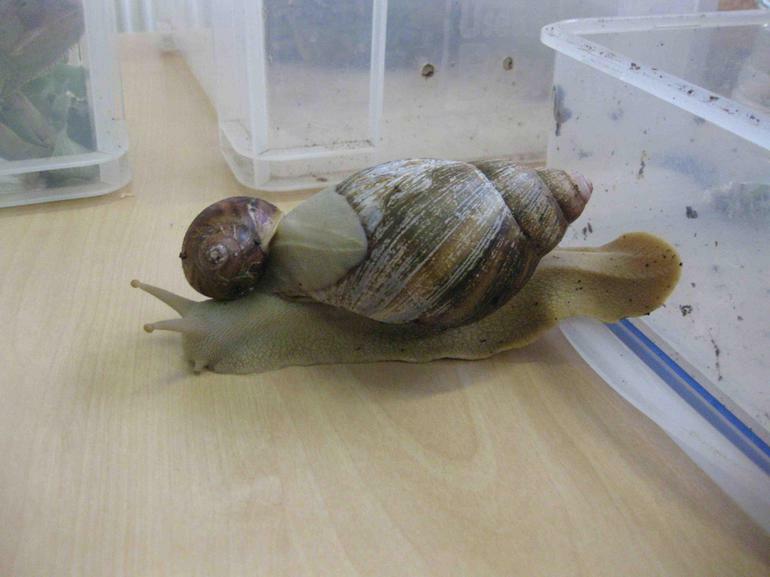 Dylan had giant land snails and a blue tongued skink too. 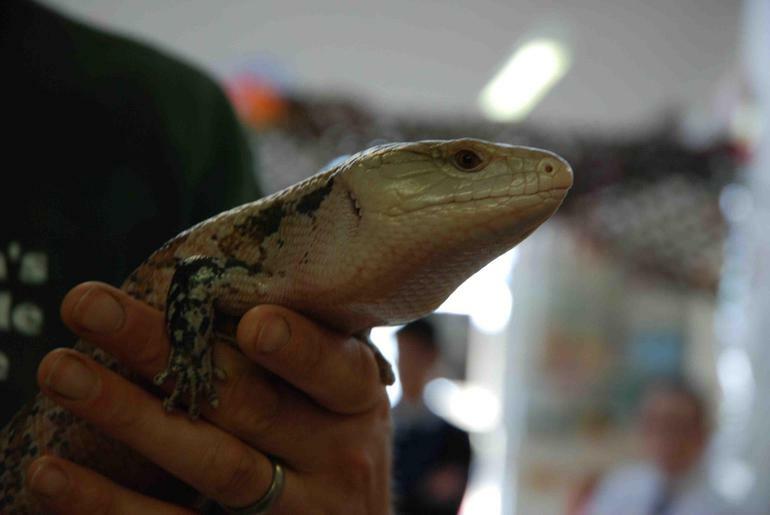 Dylan told us that lizards detach their tails when they are attacked so they can escape and then they grow another!